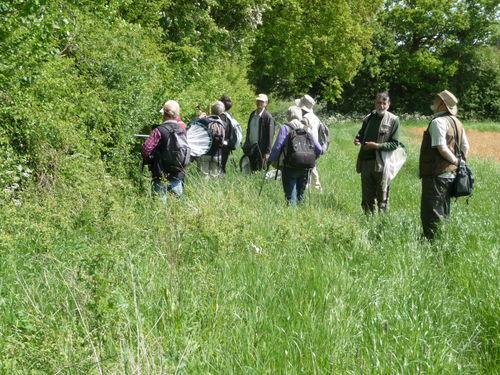 These were organised by Worcestershire Recorders and supported by Worcestershire Biological Records Centre, the latter managing the records on their database. Saturday 1st June 2013. Lower Kites Wood, near Kington, Flyford Flavell– small ancient woodland privately owned by John Tilt and Dave Ward. 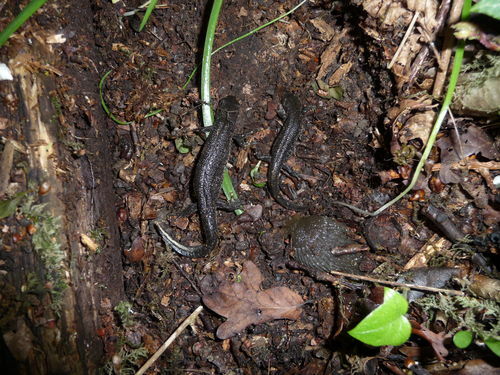 We are most grateful to them for allowing us to visit their wood which has few biological records to date. Saturday 6th July 2013. Hollybed Farm, Castlemorton. 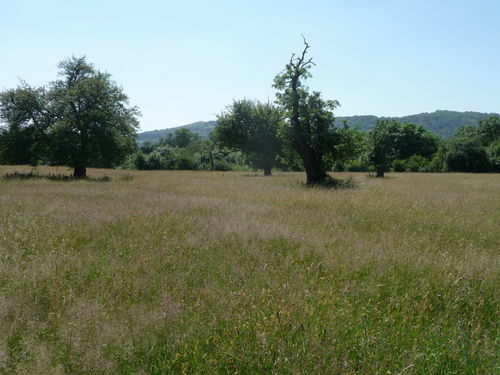 A newly established 40 acre Worcestershire Wildlife Trust reserve. Mainly grassland including Starling Bank SSSI. Also a stream valley, marshy patches, alder wood, scrub, good hedges, old trees, and a remnant of an old orchard. Very few biological records to date. 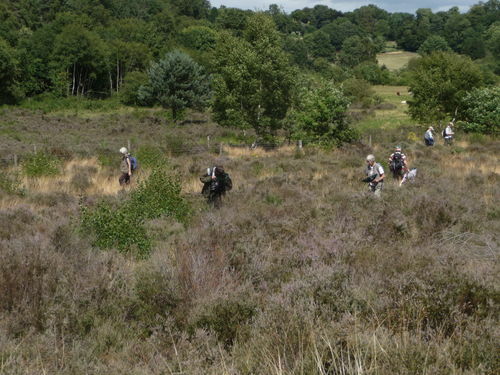 Saturday 3rd August 2013 Devil’s Spittleful heathland reserve owned by Worcestershire Wildlife Trust.. The recording day was planned to follow on from a great deal of practical conservation work that has been done there recently. Many trees have been removed, areas fenced, and grazing introduced. 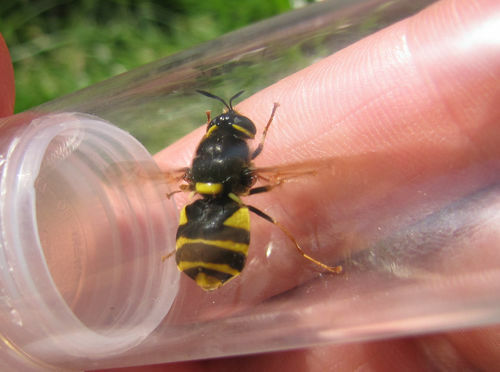 We were particularly interested in recording Hymenoptera to follow on from previous surveys. 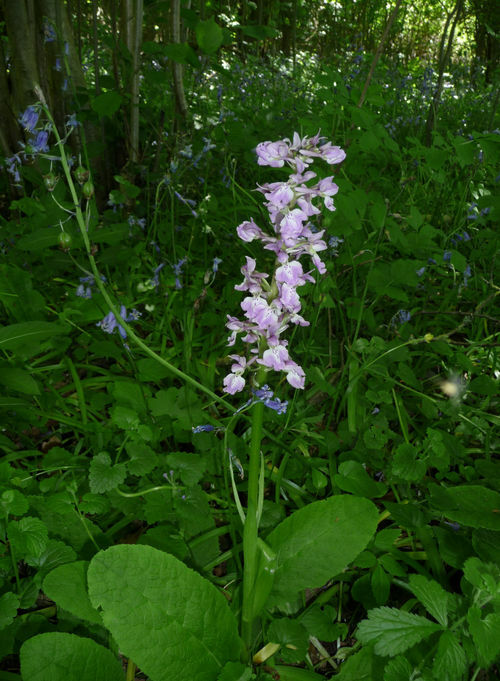 We are grateful to Worcestershire Wildlife Trust for permission to run recording days on two reserves. 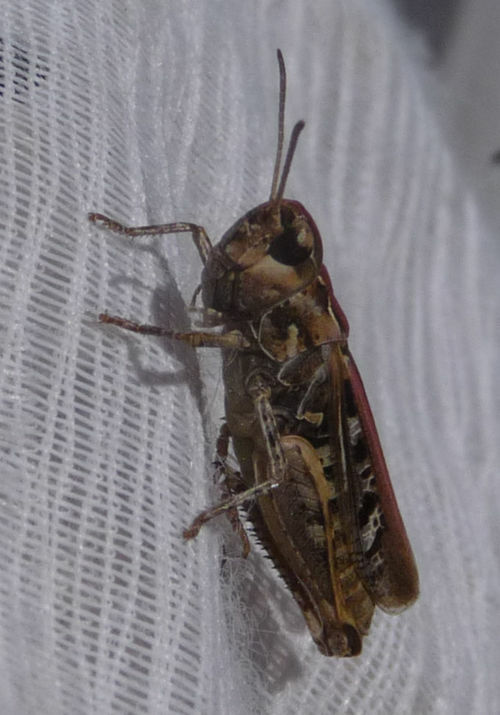 Unlike the cold and wet weather encountered during the 2012 recording days all 2013 recording days were reasonably warm and sunny so more insects were recorded that in 2012. 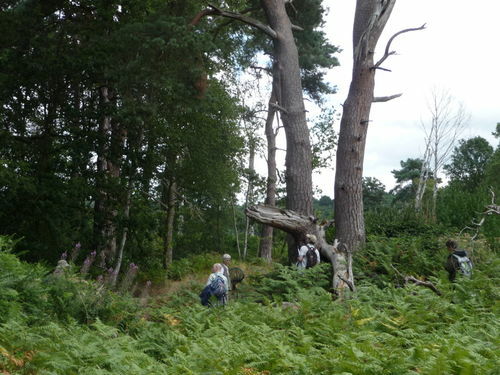 Lower Kites Wood is a small ancient woodland situated within the Forest of Feckenham area and near to Grafton Wood. There has been little woodland management for many years. 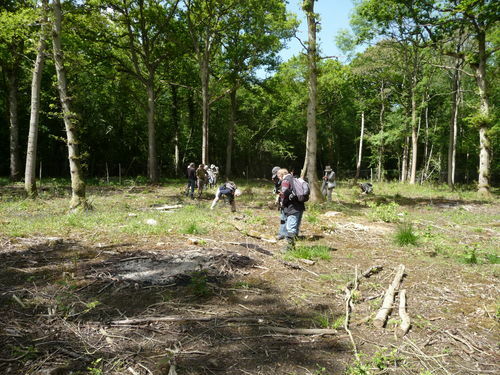 The new owners have started coppice plots and opening up tracks to introduce more sunny patches in the wood. The recording day coincides with the start of this new work. 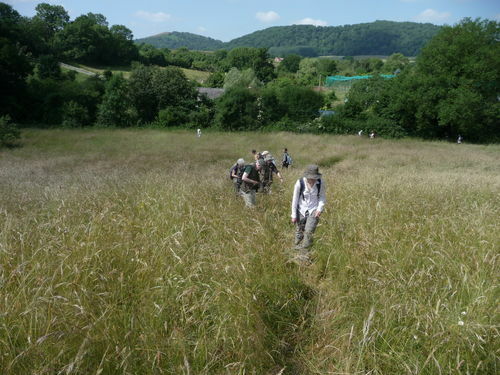 Hollybed Farm lies within farmed land situated between two important Malvern Commons – Hollybed Common and Castlemorton Common. Starling Bank SSSI, an important floristically rich grassland at the north-western end of the farm, has soils varying from lime-rich at the top of the bank to more neutral and damper ones at the base. Many of the other fields on the farm are partly improved agriculturally and the aim is to gradually convert them to herb-rich grasslands. One field contains a few ancient pear and apple trees and the grassland beneath is floristically quite rich. 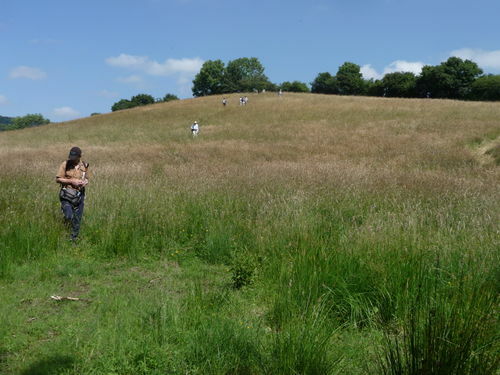 At the south-eastern end is Round Hill Bank, a rough grassland with an interesting flora and rich in bumblebees. The south-west of the farm is bordered by a small stream running in a steep-sided valley containing scrub and marshy areas. The big soldierfly, the Banded General Stratiomys potamida (10), whose larvae live in wet places was an interesting find in this area. Most of the field boundary hedges are species-rich with trees. 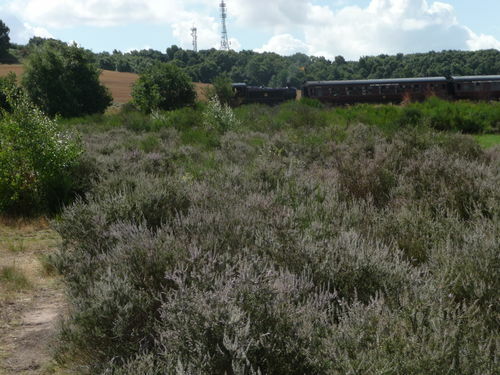 The Devel’s Spittlefull and adjacent Rifle Range reserves at Kidderminster are one of the few remaining heathlands in Worcestershire. Conservationists have battled against encroaching scrub and woodland for many years in an effort to maintain and restore heathland. In recent years extensive scrub and tree clearance is being followed up by cattle grazing. Cattle grazing should reduce and supress scrub regeneration allowing heathland to redevelop. One aim of the recording day visit was to help accumulated baseline species records soon after the initial clearance work. Shortly before the visit part of the Rifle Range Reserve immediately adjacent to the Spittleful has been burned. 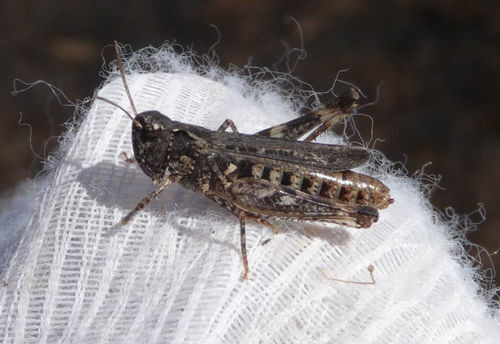 This zone contained many Mottled Grasshoppers Myrmeleotettix maculatus, some almost coal black in colour. Mottled Grasshoppers Myrmeleotettix maculate show a bewildering range of colour forms and a preponderance of nearly black forms are often noticed on burnt heath. This may be due to heavy predation of colour forms that do not match the background or colour forms may move to a matching background. The range of forms was particularly noticeable on the recording day with numerous nealy black forms on the burnt heath. See pictures 15 & 16. 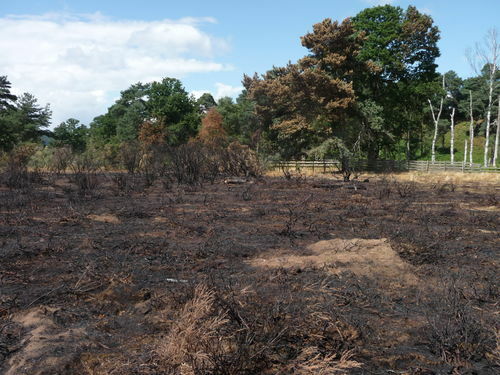 Picture 16 was on black burned heath. 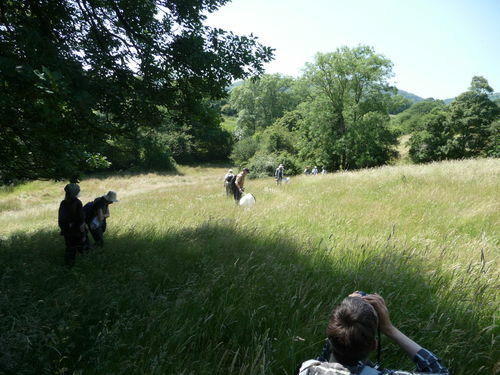 The lists of records from the Field Recording Days include a good range of invertebrates. Noteworthy are many Diptera records determined by Mick Blythe and the shortage of beetle records compared with most recording days over the last ten years. We are missing beetle-man John Meiklejohn whose age and less good health have kept him away. However, several recorders are now identifying true bugs so improving the number of records for that group. 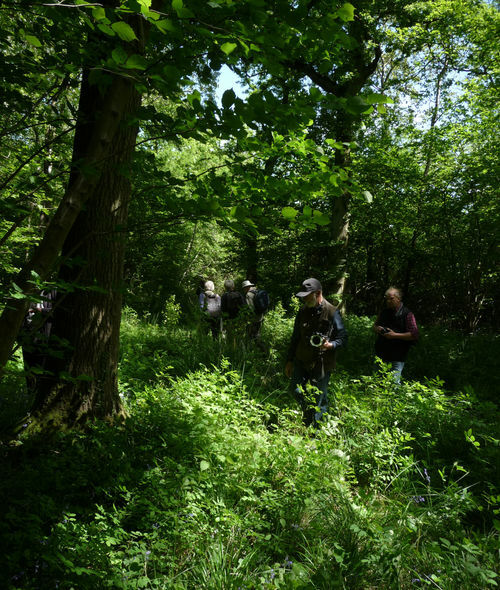 The aim of the field recording days is to obtain as many records of as many groups of plants and animals as possible to give a ‘snapshot’ for the day. Whether we succeed in this aim or not depends on who can attend on the day and the weather conditions. The separate lists of Vascular Plants were compiled by Bert Reid. 05. Recorders at edge Lower Kites Wood. 12. Devil's Spittleful heather and passing train.